Customer is the entity for which Invoices are generated and from whom Payments are received. Managing customers by creating new customers and editing existing customers is straightforward. The Customer here is a company and the Contact is the person within the company. The fields marked by * are compulsory fields. 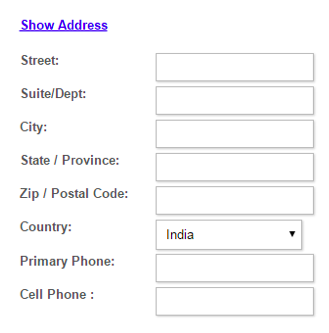 Enter First Name, Last Name and Primary Email (required fields). The email id entered in the Primary Email field is the email id to which the mails will be sent from the system. The Login (required field) auto populates to what’s entered in the Primary Email field. Enter a Password (required field) of your choice and Confirm Password (required field). These fields are not compulsory but are optional but it is recommended to fill these fields as well. Enter the Street, Suite/Dept, City, State/Province, Zip/Postal Code, Country, Primary Phone, Cell Phone. On click the Advanced Options window will be opened. 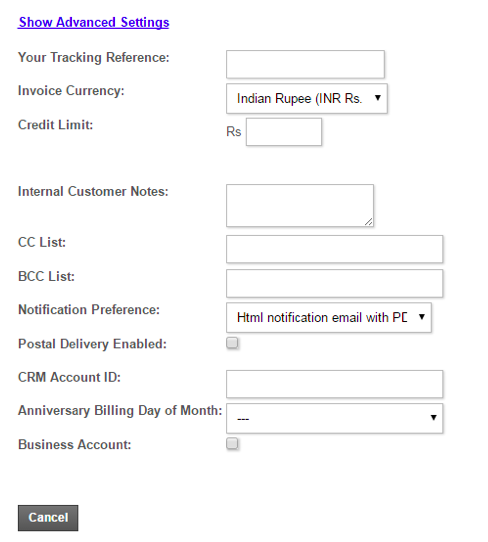 Choose Invoice Currency if this customer is be settled in a different currency. Enter Credit Limit (if applicable) so that the customer is eligible only to a limited Credit on his/her account. CC List and BCC list will be applicable if you have more than 1 email ID to which the mails of this customer is to be sent and multiple email ids can be set up to receive emails. You can set a Notification Preference for the customer as per their convenience and the options are as below. There are some types of notifications that cannot be turned off by customer preferences. The overdue / dunning notification is one such notification, even if the customer preference is set to None, if OB has overdue notifications enabled, then the customer will receive them by design. This will create a Customer profile. Note: Not all the fields are mandatory. A customer can be created just by entering only the compulsory fields. Summary: This tab shows the details of the customer like Balance, Last Payment, Last Invoice, Lifetime Value, Status, Customer Reference Number, Tracking Reference, Sales Agents and Notes. Billing Contact: This tab shows the details like the Company Name that the customer belongs to, the customer name, email id, customer address and the Customer Username. Sales Contact: This tab shows the details of the Sales Agents that this customer is attached to. Please refer the docs on Sales Agents. These custom fields can be set up by navigating to System>>Customer care>>Customer Settings and entering the names of the field required and their description which acts as a tool tip when hovered over the field. 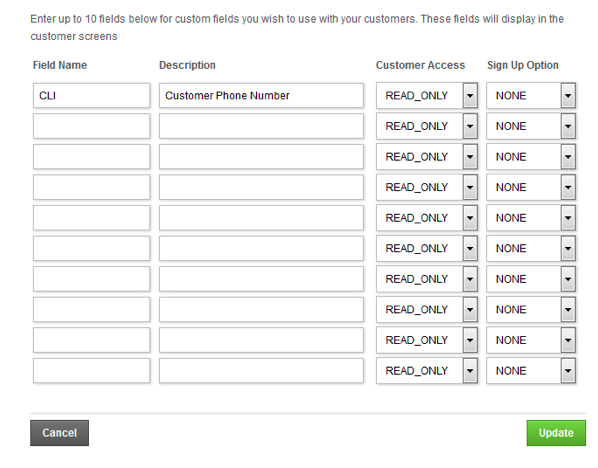 You can have upto 10 custom fields for every customer. 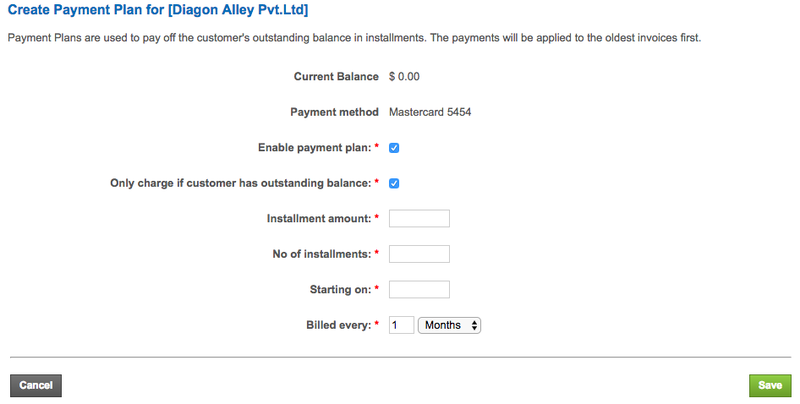 Payment Plan: This option is used when your Customer has a big amount that needs to be cleared before raising any further invoices for them.